Looking for private in-home or in-studio Organ lessons? Our Fairview teachers are ready to get you started. Find your teacher today! Styles covered include rock, blues, and jazz with emphasis on the Hammond organ and organ-style keyboards. Learning to use drawbars to shape the tone in real time and playing left hand bass lines are also explained. Chuck moved to Portland, Oregon from Gainesville, Florida, where he was a prominent member of the music teaching and performing community for more than 25 years. Originally from Chicago, Chuck completed his BA in Music History and Masters of Music (MM) at the University of Florida. Chuck became obsessed with The Beatles when he began piano lessons at age 12. His first attempt at composing was actually improvising melodies over the ending chords to "Hey Jude". Along with playing Beatles tunes Chuck learned classic standards from a set of Reader's Digest Songbooks inherited from his grandmother. c, blues, jazz, and original compositions. Before devoting himself to music full time, he worked for 8 years as a radio announcer on WUFT-FM Gainesville hosting shows such as "Nothing but the Blues", "Montage" (acoustic jazz), and "Musica Antiqua" (Renaissance and Medieval). Chuck has taught students of all ages and skill levels in piano, guitar, organ, flute, digital keyboards, recorder, and ukulele. He's also a multi-faceted composer whose instrumental pieces are infused with elements of classical, blues, and jazz styles. Chuck's teaching philosophy: "In my 25 years of teaching I’ve found that everyone learns in different ways and at different rates of progress, so each of my students is treated as a unique individual. I try to get to know my students in the first few lessons so I can be more sensitive to their personalities. This helps me choose the best teaching approach for them. From the very first lesson I create a relaxed setting so students feel no apprehension, especially when trying something new. This allows them to feel free to take chances and experience playing music as something enjoyable, not a life or death situation! The biggest measure of my effectiveness as a teacher is when my students embrace new challenges and the opportunity to improve". My primary goal as a teacher is to present musical material in a way that keeps students excited about what they are learning. Even with absolute beginners, I will have a student playing actual songs that they are interested in as quickly as possible. Along the way I include fundamentals such as scales, strength-building exercises, rudiments of theory, and ear training. Some of the method books I use include the Alfred and Faber and Faber series, and Hanon's The Virtuoso Pianist, among many others. These materials are always supplemented with arrangements and transcriptions of popular songs and classical pieces, along with original exercises designed to teach specific styles and techniques. I also use interactive music websites to introduce students to concepts of music theory. The styles that I cover include classical, rock, jazz, and blues. As students progress in their creativity, I also introduce them to composition and improvisation. Kawai K50 upright piano, music playback devices, Hammond C3 organ, multiple keyboards/synthesizers, acoustic and electric guitars, amplifiers, computer recording equipment; parents are encouraged to sit in on lessons. I don't provide any specific equipment. Piano students should have either a well-tuned piano or full-sized weighted-key digital keyboard (Casio Privia, for example). Guitar students should have a well set up electric or acoustic guitar and an amplifier (for an electric guitar). I teach students of all ages and skill levels. The styles that I cover include classical, rock, jazz, and blues. I also teacher recording techniques using computer software including Ableton Live, Reason, and Pro Tools. I am really impressed with Chuck's ability to get right to the things I want to learn while still explaining the fundamentals. I'm a self-taught guitar player (30 years) but I came to Chuck with no reading skills and no piano experience at all. He has been able to take what I know and show me how to apply it to learning theory, but within 3 lessons he also has me really excited about playing actual music that I'm into. Great learning studio and professional yet laid-back demeanor. Definitely plan on sticking with Chuck. 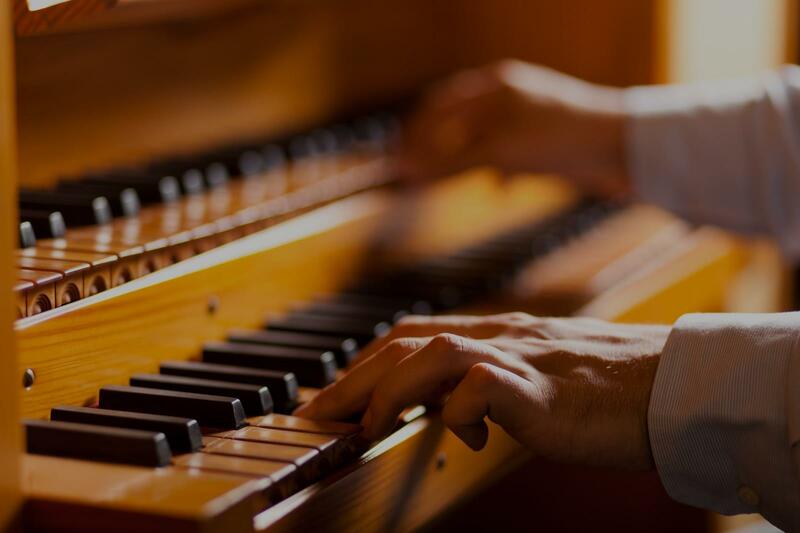 This class is for intermediate and advanced level organ players. You will learn all of basics and techniques of playing a Hammond organ.